It can sometimes seem like getting ready for a move is 70% of the work. 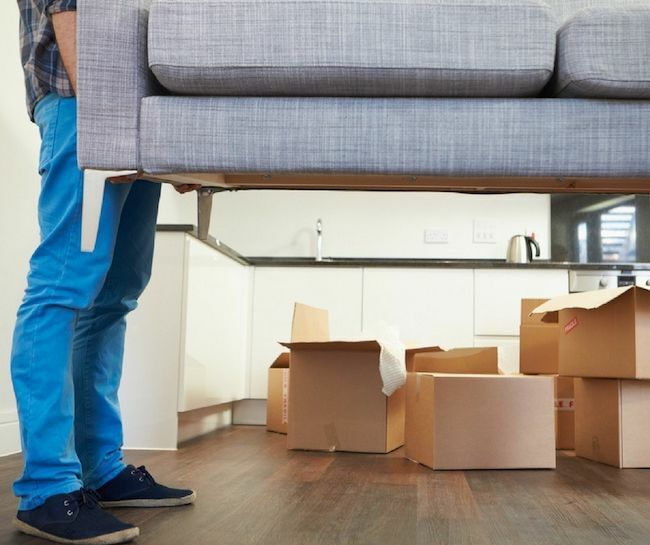 And while determining an exact proportion may prove difficult, there’s no doubt that whether you’re preparing to move offices, wrangling together all of your electronics, or making sure each box is correctly labeled, there sure is a lot to keep in mind before you even begin the process of unpacking and making a new home. If you have hardwood floors or are moving into a home or apartment with them, then that’s one more thing you need to prepare for in advance to avoid leaving a permanent scuff, something that can be a real nightmare if you rent. But just like the other situations we’ve covered, protecting hardwood floors during a move ultimately involves preparation and just a bit of common sense. Here’s how you do it. Even if you’re just moving furniture within your home and apartment, there is no more surefire way to cause damage to your floor than not taking the time to properly cover it. Whether it’s just an old mat or one of the fancy shock-absorbent mats you can get at Home Depot or somewhere similar, this is an essential step to living a scruff-free life. We’ve all been there. Whether it’s moving a bed that just won’t fit or being unable to squeeze a couch around a corner, a lot of good can be done by simply measuring the dimensions of your furniture and the space in which you will be moving. Even if you’re hiring professional movers to ensure that nothing gets dropped and damaged, providing them with clear and concise measurements will be an immense help. Even if you’ve covered the path in your home or apartment in which you will be moving, if it’s storming outside, there’s not much you can do to keep your professional movers and helpers from wandering off the marked path and carrying water and mud with them. After all, it’s not just marks in the floor you need to guard against. If you’re moving out of a home with hardwood floors, you’ve likely spent hours mopping and waxing them for the new owners or renters. Thus, the last thing you want to see is them getting covered in mud. So make a contingency plan in advance and get a large mat the day of if the weather is bad so that everyone can wipe their feet when entering.